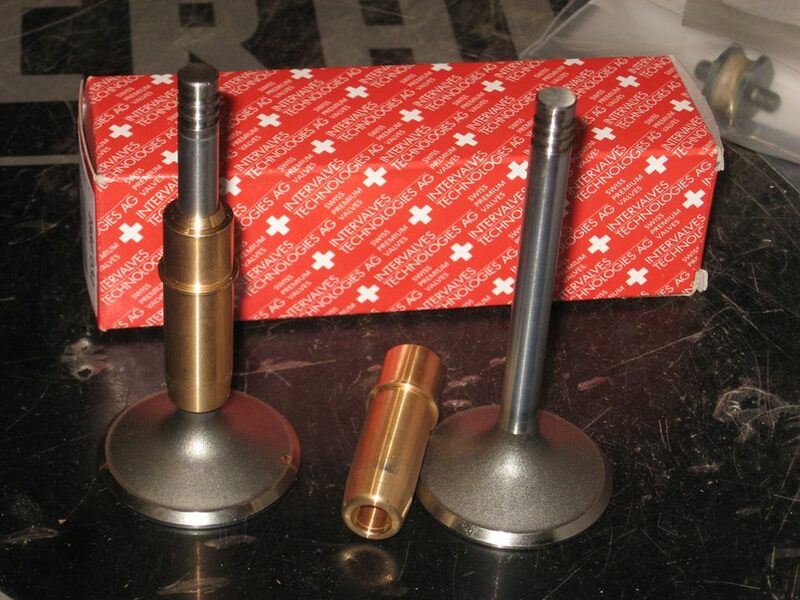 We also stock valve seats from Summit Valve. These seats are ground to our specifications, so they fit in the original seat bore without machining. The bores vary a bit, so we have them in a number of sizes. See a samplng of part numbers below. All exhaust seats are $30.00 each. These valve guides are made to our specifications. The circlip groove on OEM guides has been eliminated and the “clip” made integral to the guide. Made from a special alloy, they resist wear and seizure. Their inside diameter is sized so that only minor honing or reaming is neccesary. Also available for “/2” BMW and Triumph. Dealer and independent shop inquiries are welcome.